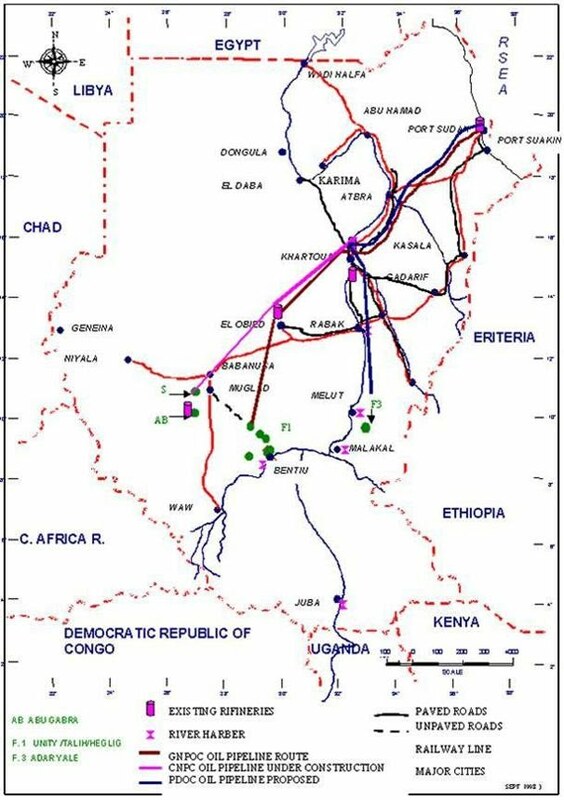 FIG (6) shows part of the petroleum infrastructures in the Sudan, which include the existing refineries,the crude oil pipeline route (L = 1610 KM., Dai. = 28 Inch, Max. CAP. = 450000 BBLS/DAY) and transportation means. In addition to these there are good communication means, airports, airstrips...etc.